Rather than desperately and insolently attempt to force himself on progressive-thinking Ghanaian citizens, maybe former President John Dramani Mahama needs to take some healthy lessons from Health Minister Kwaku Agyeman-Man, on how to deliver brand-new imported and un-wrecked ambulances for use by our National Health System (See “Government’s Delivery of 275 Ambulances Highly Commendable – Dr. Da Costa” Modernghana.com 2/20/19). 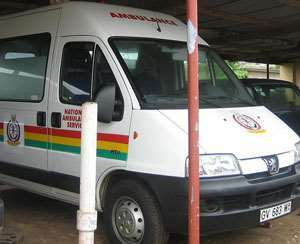 We vividly recall in the waning months of the Mahama-led government of the National Democratic Congress (NDC), when some 200 empty vehicular shells were imported from Germany to supposedly boost the already existing stock of ambulances operated by the Ghana Public Health System, almost none of which was deemed by experts to be suitable for use in the country. Indeed, until the latest delivery of some 275 Mercedes Benz Ambulances, the entire public healthcare system in the country, covering some 30 million people, was known to be serviced by only some 55 ambulances in various degrees of roadworthiness. This is nothing short of abjectly criminal. It well appears that nearly every human-resource development program initiated by the Mills-Mahama-led government of the National Democratic Congress was geared towards tilting the outcome of the next general election in favor of the NDC. Under the relatively far more visionary and progressive Akufo-Addo-led government of the New Patriotic Party (NPP), however, it can be clearly observed that projects are invariably initiated and/or implemented by the government because they are of both short- and long-term benefit to the Ghanaian people at large, and not because President Akufo-Addo and the New Patriotic Party government stand a good chance of capitalizing on such progressive development initiatives to exponentially increase their electoral margin during the next polling season. Why is why even though I principally agree with Dr. Aboagye DaCosta, the West-London-based university professor of Public Health, nevertheless, I still strongly believe that more still needs to be done to bring up the supply of ambulances in the country’s healthcare system to at least three times the present level, especially in the high population density areas of the country. At least, the government should be striving for the supply of at least 10 ambulances to the regional hospitals, with district hospitals receiving about five ambulances each, while every rural health center is equipped with one or two well-maintained ambulances. What this means is that vehicular maintenance depots for these ambulances, and other official Health Service Vehicles, would have to be established at convenient locations throughout the country. These vehicular maintenance depots should be equipped with state-of-the-art vehicular repair equipment and may also regularly service the vehicles of other public service establishments in order to significantly cut down operational costs. Of course, this is only one aspect or phase of the delivery of efficient healthcare in the country. In recent weeks, we have discussed the chronic and perennial problem of medical supplies, and not just the delivery of emergency medical supplies by the use of medical drones, but rather the general supply of medication beyond physician-prescribed medicines. As well, the need for the Food and Drug Authority (FDA) to rigidly enforce the medical supply and sales laws on the books, as it were, in the country. The government also needs to encourage the establishment of private ambulance companies in the country to complement its own efforts, as well as struck a deal with those privately owned ambulances companies to ensure that they charge reasonable fees, as well as put in place measures to promptly stem the tide of rank corruption in this sector of our fast-emerging complementary healthcare system and culture. And, of course, with the decision by transnational corporate giants like Volkswagen, Toyota, Nissan and Renault to establish automobile assembling plants in the country, the supply of more ambulances ought not to be to difficult to undertake.